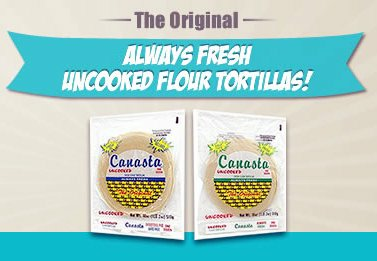 Uncooked Flour Tortillas - 8"
Canasta tortillas are so fresh and light that you will see them rise as you cook them (air bubbles on the upper surface). Ingredients Enriched Wheat Flour, Water, Lard, Salt Dough Conditioner, Calcium, Propionate, Fumaric Acid. These are amazing and are the best I've ever found store bought. They have Lard (specially prepared pork fat) in them which is very hard to find and what makes them so delicious. They're texture is slightly chewy and doughy ...so good! I only wish they came in a Burrito size. Also I believe they come room temp not frozen but do require refrigeration after opening. Consthey are large taco size not really Burrito size...need a bigger size as well. 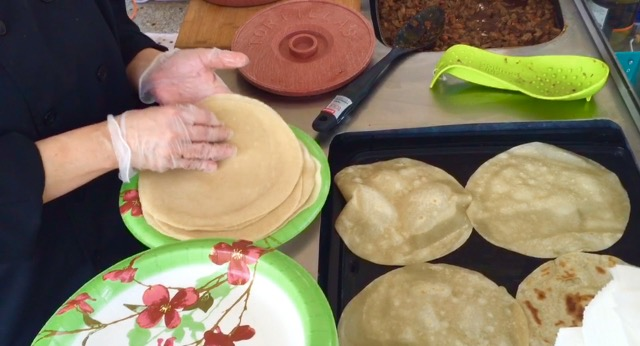 ...THEY ARRIVED BROKEN, SO IT WAS IMPOSSIBLE TO USE A FULL TORTILLA....TASTED GREAT THOUGH. Merchant Response:We are very sorry! 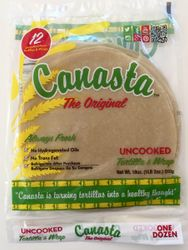 Please use coupon code at check out -> CANASTA to get 20% OFF on your order, Minimum $20.